If you’re in your late 20s or early 30s, you more than likely have some distant memory of a music video called “Particle Man” from the Warner Bros. cartoon show Tiny Toon Adventures. This particular video, which consists of various cartoon wrestlers beating the hell out of Plucky Duck, was a staple of my youth. At the impressionable age of 9, I must have recited the words “Particle Man, Particle Man, doing the things a particle can,” enough times to drive my parents to curse the group responsible, the Brooklyn-based alterna-indie band They Might Be Giants. Linnell is quick to point out that he’s in no way trying to compare himself to The Beatles, but it’s worth mentioning that he and his bandmate, John Flansburgh, have been making music together for way longer than the boys from Liverpool. In fact, they’ve lasted more than 30 years. Part of this longevity is due to their knack for consistently creating short, digestible pop songs that translate well for both adults and kids. Attracting multigenerational audiences is something they’ve always excelled at, but, as Linnell explains, it was never on purpose. Since No!, the band has released three other children’s albums: Here Comes the ABCs, Here Comes the 123s and Here Comes Science. 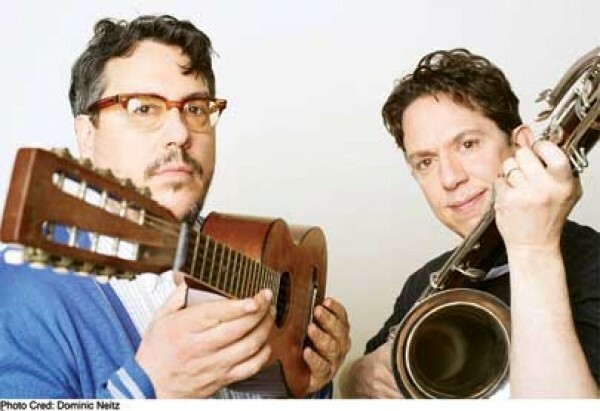 In March, with the help of guitarist Dan Miller, bassist Danny Weinkauf and drummer Marty Beller, They Might Be Giants dropped Nanobots, their 16th studio album and their second “adult” album in five years. Nanobots is a return to the familiar old-school nerd-rock that many of us “adult” fans are accustomed to. But don’t worry, their most recent tour isn’t too adult.